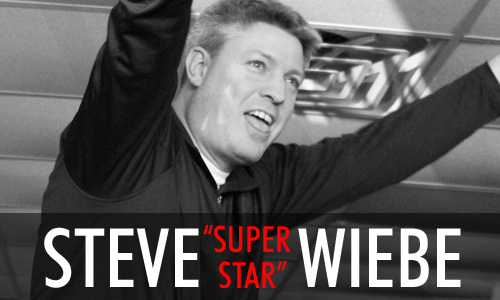 Even if Steve Wiebe weren't already a long-standing folk hero (and crowd favorite at live events), I have a feeling that it wouldn't take him long to win them over even as a stranger. Wiebe is the classic good guy, the fellow you just want to root for. 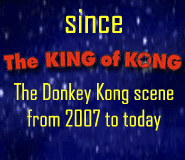 It's that natural, effortless likeability that the producers of The King of Kong picked up on, and around which they built the emotional structure of the film. 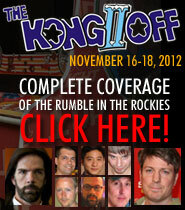 Wiebe's top score has now been toppled by many players since the credits rolled on the movie, and some say that the game has passed him by. Live events, however, show in no uncertain terms that he's still one of the very best competitors in the game, even after years of facing off against all the brilliant newcomers he helped bring into the fray. 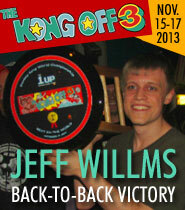 Wiebe only narrowly missed taking first place at the inaugural Kong Off, hitting a near million-point kill screen before being forced to cut out early to catch his plane back home, and came in third at the Kong Off 2 with an unprecedented "back-to-back million" on the second day. Wiebe will never reclaim the world record, having opted out of serious pursuit years ago, but he certainly has nothing to prove in live play. No other player has anywhere near the success handling a chaotic, high-pressure environment (including several past world record attempts alone, on stage, in front of a crowd and a prime time television audience). Wiebe, like his longtime rival Billy Mitchell, is known (and feared) for his consistency—his ability to deliver strong "on-demand" results while under the gun. 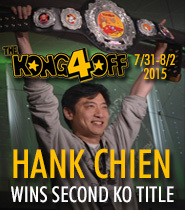 He may no longer hold the highest score, but perhaps there's more to being a champion?